As the defendant: Thinking it doesn’t matter what address you put down on your application. If you as the defendant fail to give the bonding company your correct home address and they find out, under Georgia Law, the bonding company may surrender you back to jail without having to refund you your bond fee. (Honesty is the best policy when it comes to filling out your information with a bonding company). As the defendant: Assuming the bonding company wont mind if you travel out of state without notifying them. If you as the defendant fail to notify your bondsmen that you are going to be traveling out of the state for a period of time and the bonding company finds out, the bonding company can by law revoke your bond without refunding your fee. (Always make your bondsmen aware of any movement or changes, it will be in your best interest to do so). As the defendant: Becoming re-arrested for a similar crime. 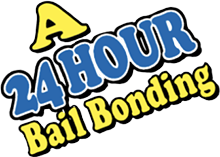 In some cases the bail bonding company by law may come off your bond after you have been re-arrested for a similar offense. (Its always a good idea to try and resolve one offense before you get in trouble again and get re-arrested). Last but not least as a co-signer: Assuming that all bonding companies are created equal. Thinking that it doesn’t matter which bonding company you use can be a big mistake. The reason is that some bonding companies because of insolvency, will look for reasons to come off bonds (Put the defendant back in jail). Insolvency in the bail bonding business translates into companies that don’t have enough money in escrow with the county to support the amount of bonds they write and as a result, have to look for ways to lower liability so they can continue to write bonds. In simple terms, people become a means or an opportunity to lower liability instead of being viewed as fellow human beings. One has to be very careful when dealing with a business or industry that has control over a persons livelihood. This especially holds true when your talking about a family member or loved one.